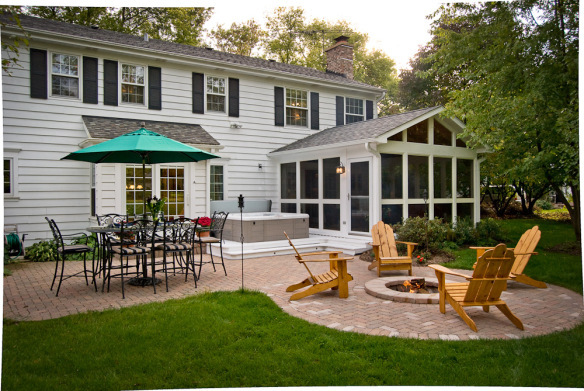 We often talk about the importance of design when enhancing your outdoor living space. Size, structure, flow, material, it is all part of creating a space that you love to spend time in. But as the evenings get darker earlier, homeowners are often forced inside. Incorporating outdoor lighting into your patio and deck design is a great way to ensure that you get the most use out of your space as possible. 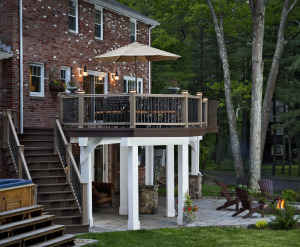 Deck lights come in a variety of different styles, but their purpose is clear: to increase the safety and usability of your outdoor living space. When it is dark outside, it becomes harder to see exactly where you are stepping. 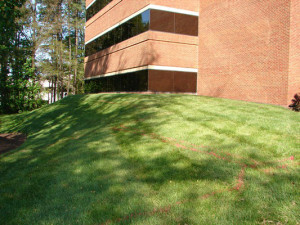 Lighting the areas where people are walking is the best way to make sure no one trips and falls on your property. Step lights. 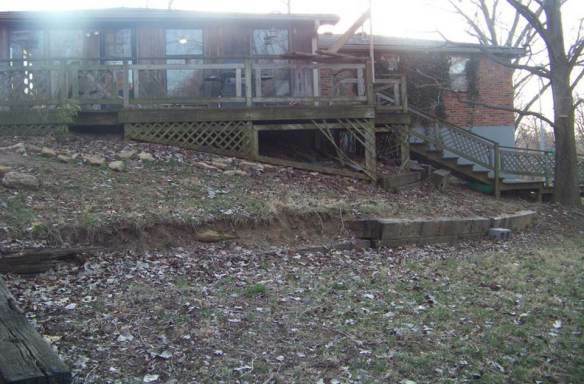 Steps are arguably the most likely place a visitor may trip and fall in the backyard space. 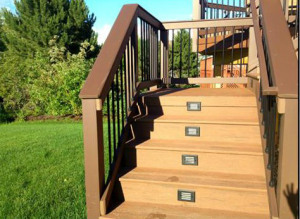 To minimize the risk of injury, we suggest including step lighting on all the stairways on your deck, patio, etc. 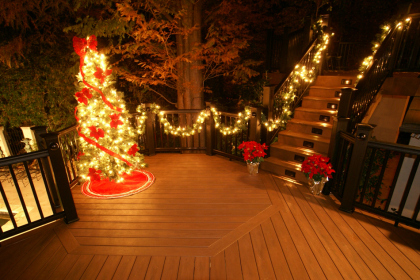 Deck lights, like the ones seen here, are installed on the vertical portion of the step, shining downward to illuminate the step below. They come in a number of difference sizes, shapes and finishes. For example, maybe these dark colored ones aren’t your style. You may ask for a copper option that better fits your outdoor décor. Post Lights. Post lights are down lights that are installed on the deck railing posts. Like step lighting, they increase the safety of the space, but they are also a major factor in usability. Take this deck for example, without the post lights (which you can see sporadically around the space) the deck wouldn’t be nearly as usable as it is now. The light invites the visitors outside to enjoy the space. Cap lights. Like post lights, cap lights define the usable space on a structure and are located on the railing posts. They are specifically located on the top portion of the railing or the cap (hence the name). There are two main types of caps lights. The first is where the light is incorporate in the cap, like this picture to the left illustrates. The light isn’t noticed during the day and is a nice design feature at night. The second type of cap light is that which sit on top of the cap. These are more decorative in nature and can take the form of a path light or lantern like the one seen here. When considering your overall style of your space, you could look for cap lights that enhance the ambiance. 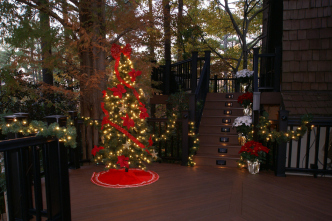 Deck lights are important piece of the safety of your space. No one wants their family and friends to hurt themselves while enjoying a nice night outdoors. While they are easier to install in the building phase, deck lights can be added to existing outdoor structures. Please reach out to your local Archadeck office for more information. Our thoughts and prayers are with those that are recovering from the devastation of Hurricane Sandy. 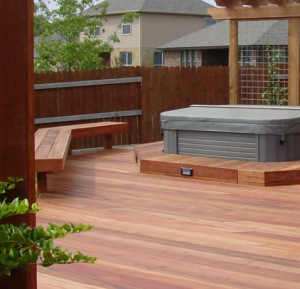 At Archadeck Outdoor Living, our passion is improving outdoor living spaces for families to enjoy and unfortunately strong storms and hurricanes like Sandy can bring havoc on such areas of the property. 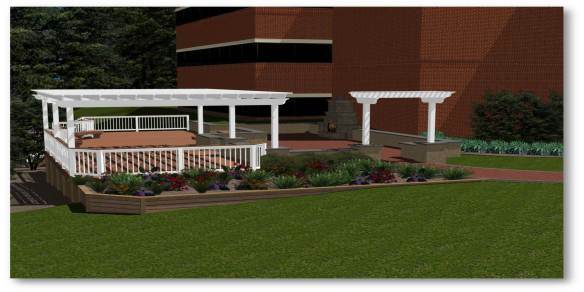 As the weeks and months of recovery beginning, we wanted to offer guidance to those that were impacted regarding their outdoor living areas. 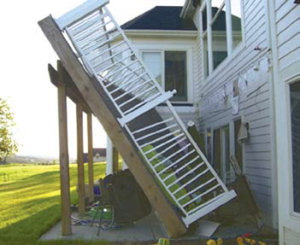 High winds and rains can cause damage to decks, porches, patios, etc. 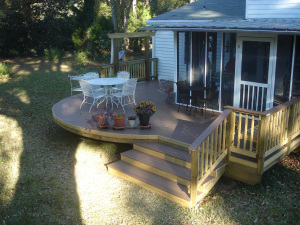 and it’s important to look for that damage and have it repaired by a deck professional. 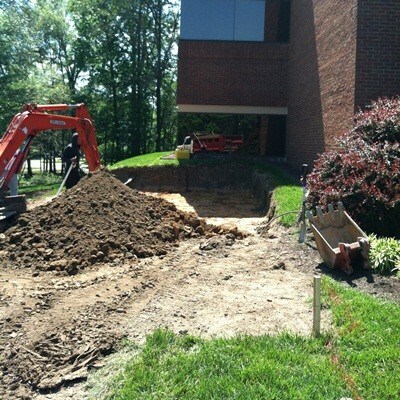 Exposed or washed out footings/foundations. Especially in areas where flooding occurred, it’s important to check and see if you can see the foundations of your deck or if the structure seems to have sunk. 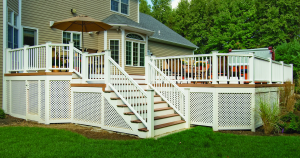 This is one of the most important safety components of your deck, so if you are worried about the structure, call your local deck builder to come and take a look. 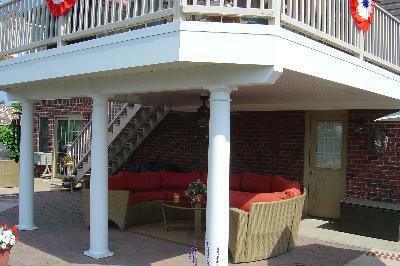 Erosion under your deck or on your patio. 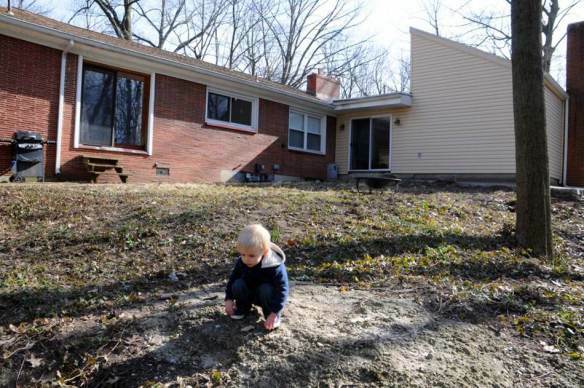 The ground underneath a deck helps support the foundation of it. When the ground is washed away either by high winds or rain like many areas experienced due to Sandy, it weakens the structure. For patios, the pavers are locked in by compacted dirt and sand. Under harsh conditions some of the sand may be swept away, leaving the pavers loose and unsafe to walk on. 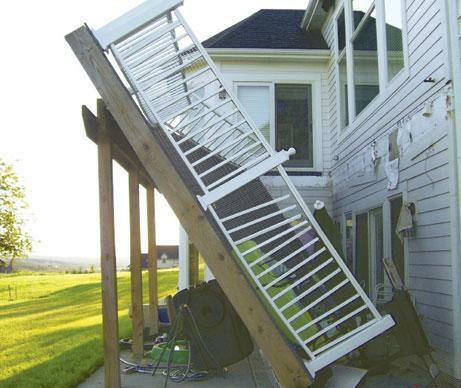 High winds may weaken decks, especially older decks. 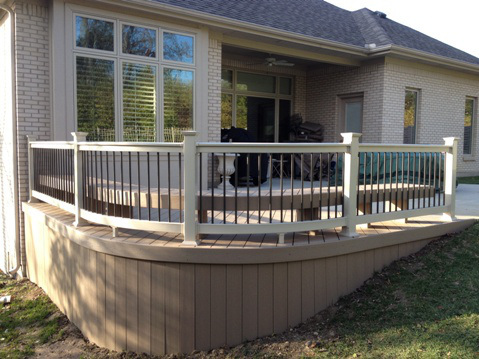 If any deck boards, railings or steps are loose and shaky, it’s important to have a professional come and look at the structural integrity of the project. For structures that are attached to the house, check for any water infiltration at the place of attachment. For many homeowners that will be in the crawl space or basement of their home. If there is water dripping, it can cause damage to the structure of not only your outdoor living space, but your home. 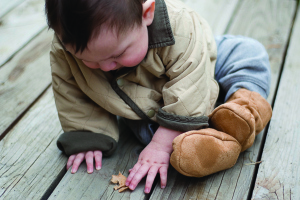 Mother Nature can cause safety issues when it comes to outdoor living spaces. 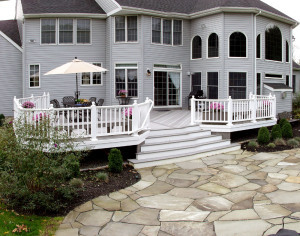 After big storms like Sandy, you should have an outdoor living contractor come and inspect your spaces. 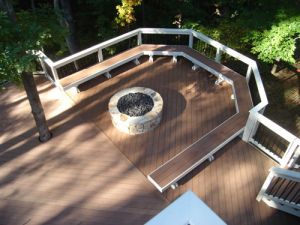 At Archadeck, we offer a deck safety inspection where we check all parts of your structure and provide recommendations as what you may need to do now and what you can plan for in the future. I love the Fourth of July. The barbecues with family and friends, fireworks and the red, white and blue always makes me smile. 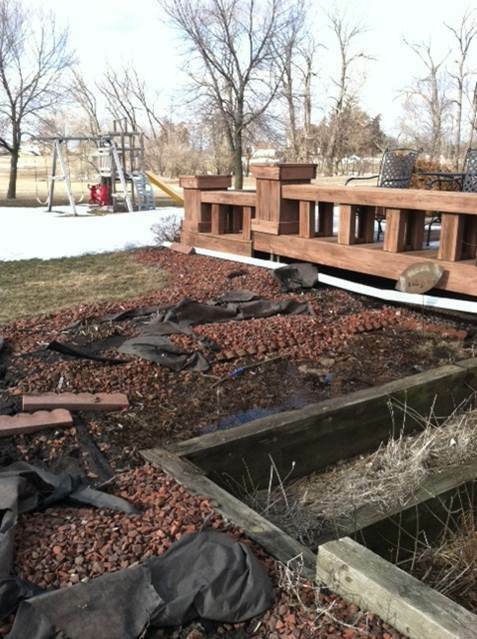 But unfortunately, for one family, an annual holiday party turned scary when their deck collapsed on Tuesday night before the Fourth. Earlier this week, a family was having party on their deck in Littleton, CO when the structure broke away from the home at about 9:30pm. 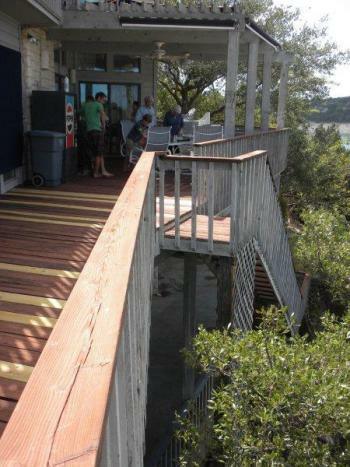 Those people who were on the deck at the time of the failure where dropped more than 10 feet to ground level. Luckily for everyone, no one was too seriously injured, but four people were sent to the hospital with bruises and broken bones (they were later released). This probably wasn’t the holiday party the homeowners had hoped for. 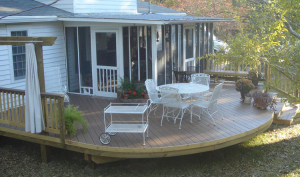 Upon looking at the structure, it became apparent that the deck was not up to current building code, resulting in the deck failure. 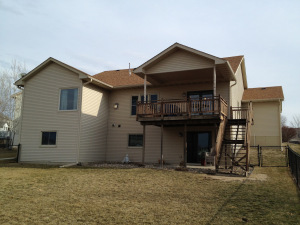 As we discussed during Deck Safety month in May, when a deck is attached to the side of the home, it is strategically bolted to the structure of the home using what is called a ledger board. 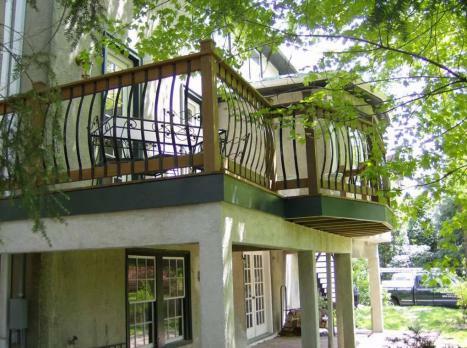 Instead of bolts, this deck in Littleton was attached using nails. 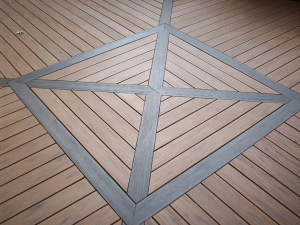 Nails are inadequate when it comes to providing the safety a deck connection needs. According to Structure Tech Home Inspections, nailed connections are probably the most common cause of deck collapses because they can easily pull out of ledger boards when significant pressure is placed on it. 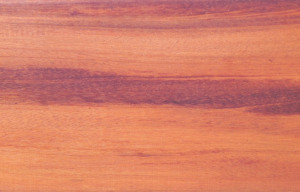 The ledger board of a deck can usually be seen when accessing the deck from below. 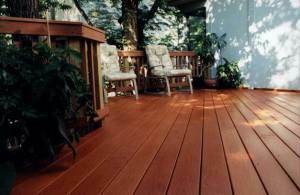 If you take a look at your deck from below and only see nails on the board (as opposed to bolts), make sure to call your local deck builder or contractor. Depending on the size of the structure and access to the ledger board, this can be easily fixed. 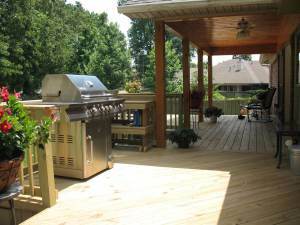 If you have a deck that you think needs to be replaced or have questions about overall deck safety, please call your local Archadeck Outdoor Living office. 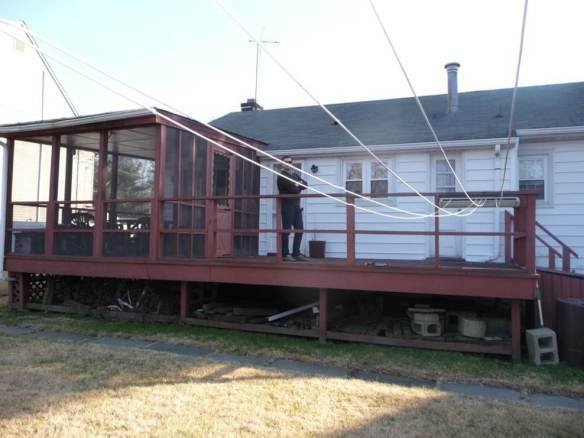 A few years ago there was a big story here in Richmond about a deck that had collapsed during a weekend barbecue. A group of friends had gotten together to cook out when the deck detached from the side of the house and collapsed. Several people were injured and unfortunately, this is a common occurrence. 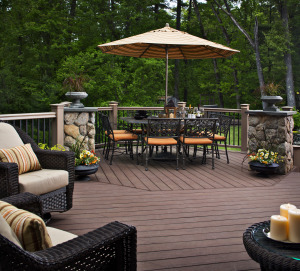 In celebration of May’s National Deck Safety month, we want to discuss one of the key components to making a deck safe: the connection to the house. 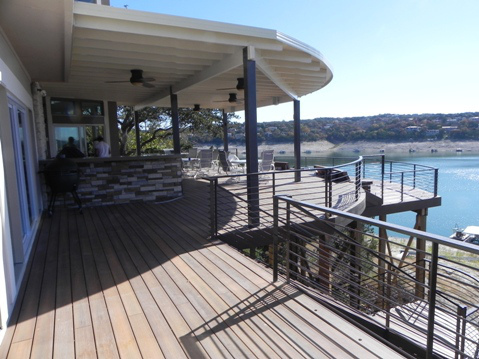 When designing and building a deck for a client, the deck builder has to decide whether to build a free-standing deck or a deck that’s attached to the house via a ledger board. 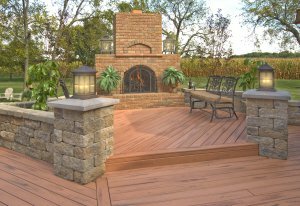 Some homes, such a brick, stone and stucco veneer homes, cannot have attached decks due to code or other site conditions. Flashing – Also known as drip edge, flashing is a material that stops moisture from entering the home. 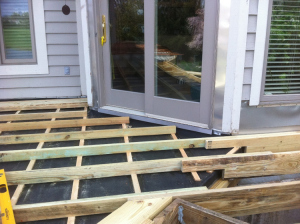 Deck flashing is placed between the house band and the ledger board. An inspector would check to make sure that the flashing is still in place and intact to prevent rot and decay. Fastener Type and Spacing – Simple nails cannot hold the weight of deck and shouldn’t be used to fasten the ledger board to the house band. ½ inch lag screws or through bolts with washers need to be place 2” from the bottom or top of the ledger and with 1’ of the end. Additionally, they need to be staggered strategically along the horizontal ledger. Corrosion – With metal fasteners being the keep component to holding your deck together, it’s important to check that all of the pieces are in good working condition. Corrosion can occur over time weakening the system making it more susceptible to breakage or failure. Rot – Rot is most common at the house band (especially if it isn’t properly flashed), but can also occur along the ledger board. Rot and decay, if not properly inspected and fix can lead to structural decay within your home and ledger failure, causing your deck to collapse. 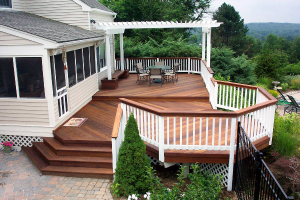 If you have a deck that is over 7 years old or in questionable condition, we at Archadeck suggest having a trained deck professional come out and inspect the safety of your deck. They will be able to tell you what you need to repair now and what you will need to repair in the coming years. For more information, please visit us at Archadeck.com or contact your local Archadeck office. 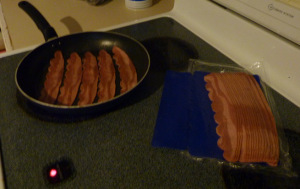 We all know the recession and current economic situation has changed the way we buy. In general, consumers are taking more time with bigger purchases. Despite the uncertain economy, the National Association of Home Builders recently announced a five-year high in the remodeling index in the past fourth quarter. 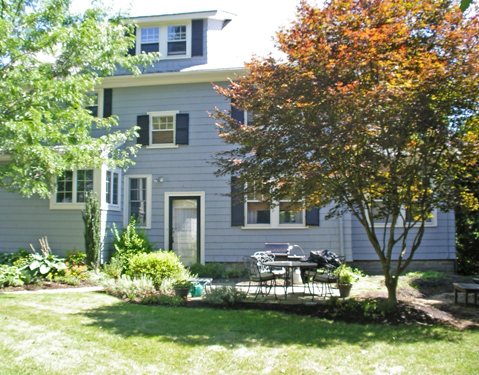 It seems that many homeowners are continuing to spend money updating their current home rather than moving. Prior to the recession, many homeowners were investing significant money in creating their dream backyards and many still are, just to a lesser extent. 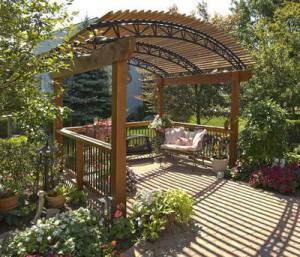 The outdoor living industry is one that continues to grow in popularity. In the Spring and Summer months, it’s hard not to see advertisements or news about outdoor games, recipes, accessories and more. 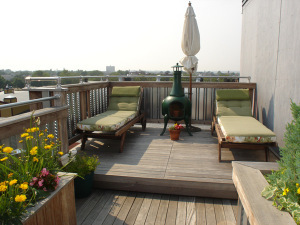 And let’s face it, with barbecues, hammocks and corn-hole, who wouldn’t want to increase their outdoor time? 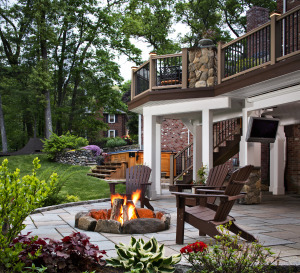 While the majority of our customers enhance their outdoor areas so they can truly enjoy it, it will add value to their home when it is time to sell. 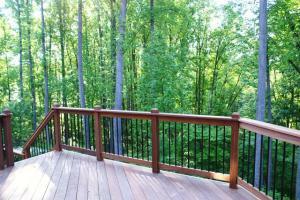 Some experts say that a seller can expect a 75% return on the investment of a new deck for instance. 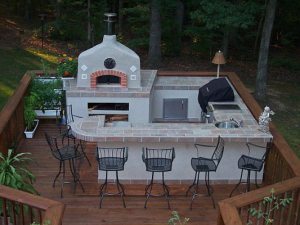 If you have any questions on how a new outdoor living space can add value to your home, please contact us at Archadeck.com. The chill in the air is beginning to become more noticeable all around the country. 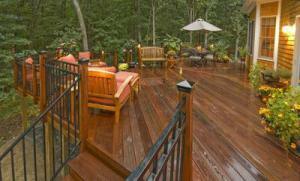 It signifies the end of summer splendor and its long balmy days spent enjoying your deck. Just because summer has ended doesn’t mean you have to cuddle up inside to keep warm and miss mother nature’s splendor that is still unfolding all around you. 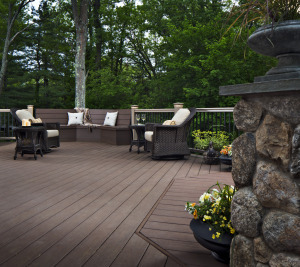 Many homeowners are considering the ever-popular option of closing in their existing deck, or a portion of their deck and creating a three or four season room or other outdoor structure that can extend your outdoor living enjoyment into and beyond the cooler months of the year. 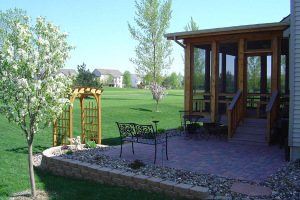 In order to determine if closing in to create an extended season outdoor living structure would be right for you there are several considerations that have to be bought to the forefront. 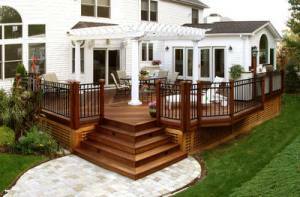 The first consideration that has to be addressed is the structural integrity of your existing deck. 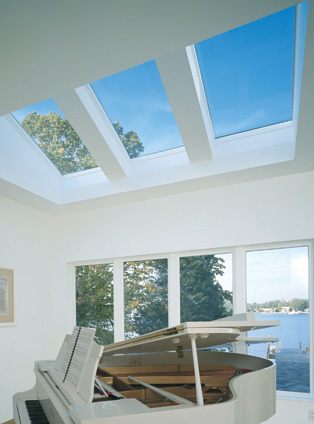 In order to accommodate the weight of a roofed structure. 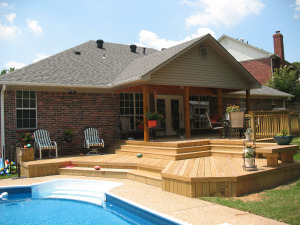 Many decks are not built to withstand the weight of adding a roof. 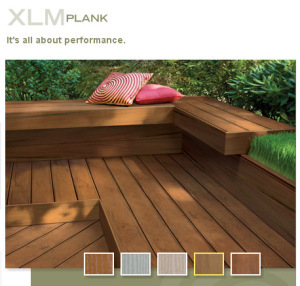 In order for a deck to be able to withstand the weight of a roof. The foundation of the deck will have to extend all the way to the corners of the structure. In cases where the foundation does not extend to the corners, changes must be made to have the foundation extended and new footers will have to be added in order to safely support and hold the weight. 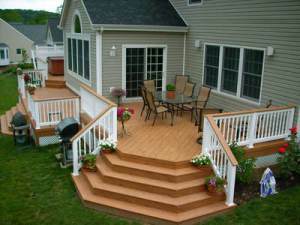 Determining whether or not your deck fits conversion criteria can be answered from a quick inspection by a professional outdoor structure builder, and depending on their findings will let you know how you wish to proceed with getting the deck structurally compatible to withstand a conversion such as a three or four season room, a screened porch or even a sunroom. Once the issue of foundation reinforcements has been addressed, the next step is to decide which type of conversion would best suit your individual needs. 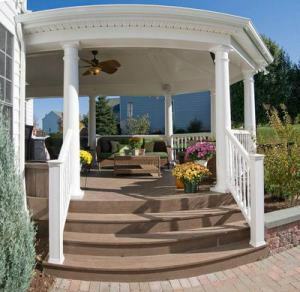 Screen porches are very popular and can be enjoyed late into the fall in many areas around the country, but this all depends on your geographical location and whether the area you live in experiences mild autumns or more harsh, cold autumns. 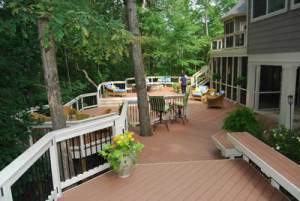 Making the decision to convert your deck or a section of your deck into a screened porch will have benefits even in the warm summer months by keeping insects at bay and protecting you from the sun. 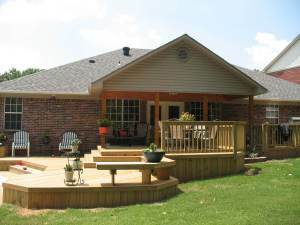 Screen porches can be in use even during inclement weather since they are roofed. 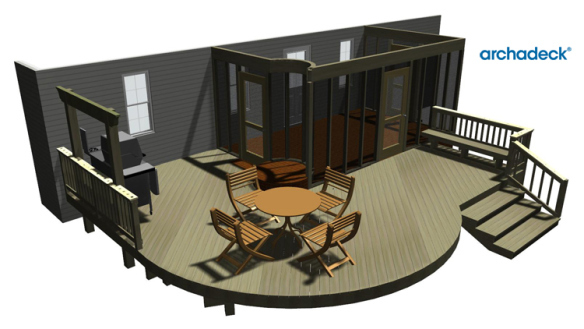 This means that the backyard dinner you had planned won’t be put on hold with a little rain because you would have a roofed screen porch to utilize. 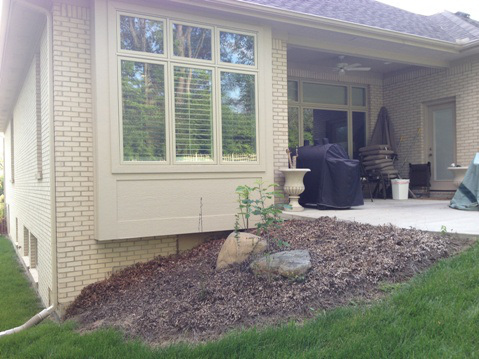 Many homeowners also opt to use a sliding window panel system to make use of their screened porch later into the year. A convertible windows like the EZE breeze sliding panel system and the Artistic Enclosures Screen Plus System offer you the ability to convert your screened porch into a three season room on demand. These convertibility systems use sliding glass panels that mimic the function of a sliding door and can be set into place very easily and quickly. By adding a space heater to the structure you can utilize the space for longer periods through even the chilliest season. 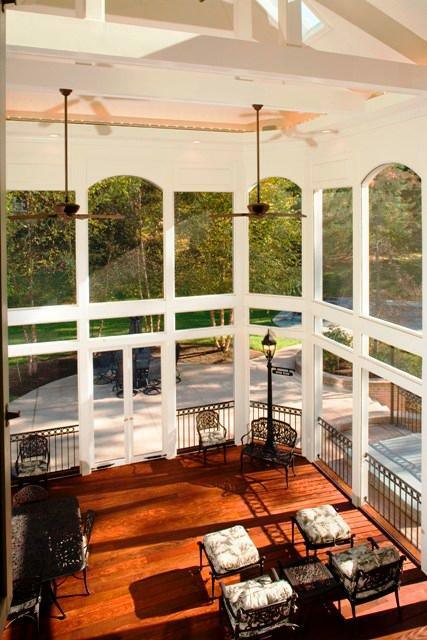 By using a convertible system on your screened porch you can still feel the warm breezes of summer, and when the temperature drops you have the peace of mind knowing that your screened porch also offers more function with added cold weather protection as well. 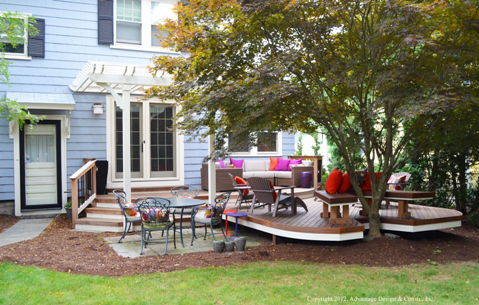 Another viable option when making the decision to enclose a deck or portion thereof, is a four season room or a sunroom. 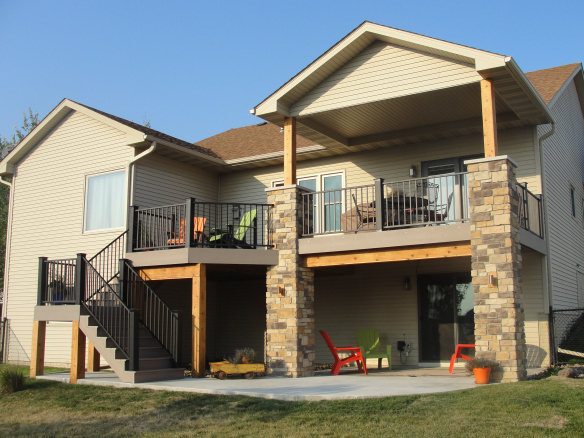 These type of structures function as an extension of your homes living area as well as an extension of your outdoor living area. Four season rooms, as well as sunrooms give you an unobscured view of nature by the use of numerous windows that sometimes even feel as though they are window walls. 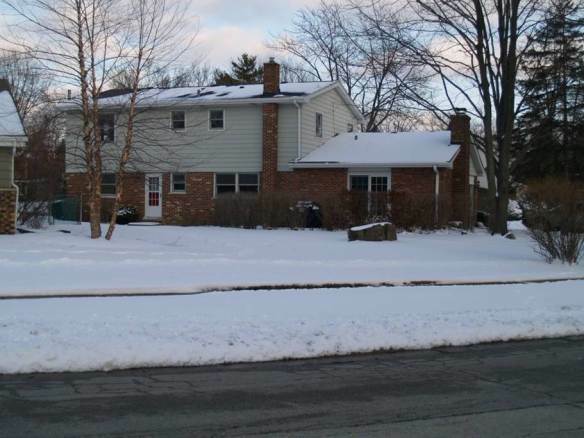 These structures can be used year round, snow or sleet because sunrooms and four season rooms require a HVAC system, or instill the use of a wall mounted electric inversion heating and cooling system that offer individual room control like those offered by Mitsubishi electric. In essence the presence of HVAC, or heating and cooling system creates a dynamic where you actually are getting a room addition when you choose to convert to a four season room or sunroom. 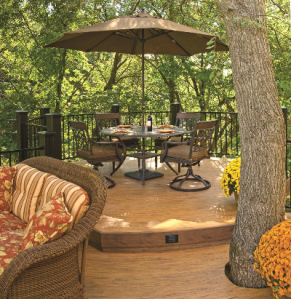 Another benefit of converting your deck into a sunroom or four season room is the freedom of material choices that can be used within it and to finish out your structure. A whole new set of design choices open up to sunroom and four season room owners. All of the same materials that can be used safely within an interior room inside your home can become finish options for your sunroom or four season room. These include sheetrocked walls, carpet, hardwoods and a myriad of other design choices. An added benefit is that the furniture used within your structure won’t have to be weatherproof when considering using it on your sunroom or four season room. The world is truly your oyster. 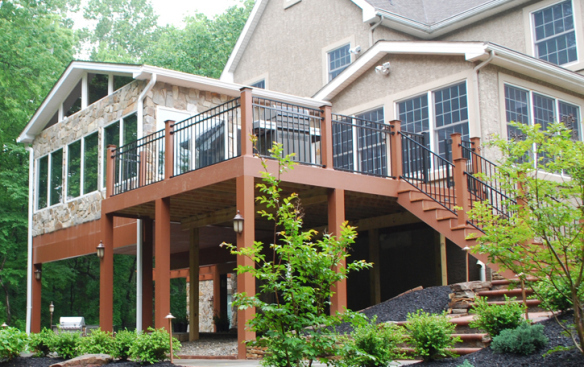 If you are on the fence about considering an enclosure or conversion of your deck, or a part of you deck into a screened porch or three season room or even a sunroom or four season room Archadeck can make it happen. 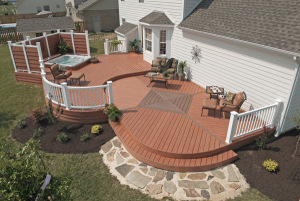 Contact us today to learn more about improving the lifestyle you lead on your deck. To learn more and find an Archadeck in your area, see our locations list located on our website. 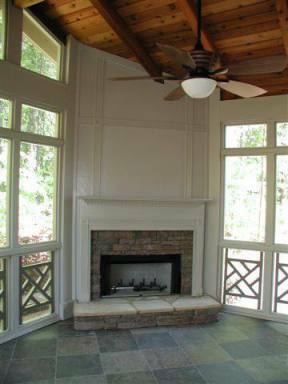 You can also get more ideas and design inspirations by visiting our screened porch gallery, sunroom gallery, and our three and four season room gallery, also located on our website.